Hao Yu HY7-m6SCL six shuttle circular loom, you can realize optimum cost-effective operations which is designed with 6 shuttles to perform tubular weaving at high speed. With Hao Yu HY7-m6SCL six shuttles circular loom, you can realize optimum cost-effective operations. The machine is designed with 6 shuttles to perform tubular weaving at high speed up to 180 RPM which is the highest technology in this woven bag equipment field in Asia. It reaches outputs up to 140 meters per hour. 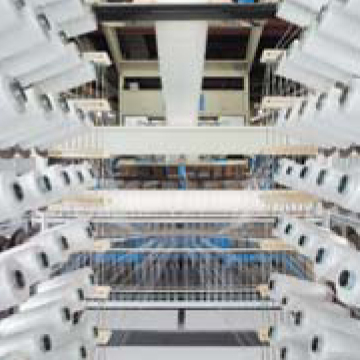 In case warp and weft breaks (finished), the machine stops automatically, An auto compensation system is also equipped to prevent the machine from empty weaving, it is an advanced circular loom specially designed to meet the stringent productivity requirements of today. 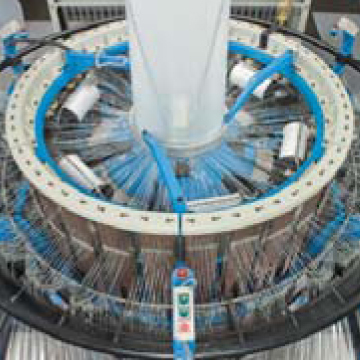 The circular looms equipped with European inverter and high quality component. We are applying patent in Taiwan, China, India, and other countries. 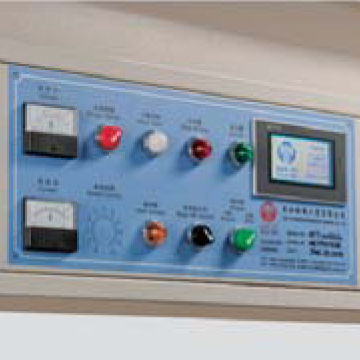 Both sides heat slitting device and additional fabric winder. Center unfold device with heat slitting device and extra large unwinder for cement bag industry.